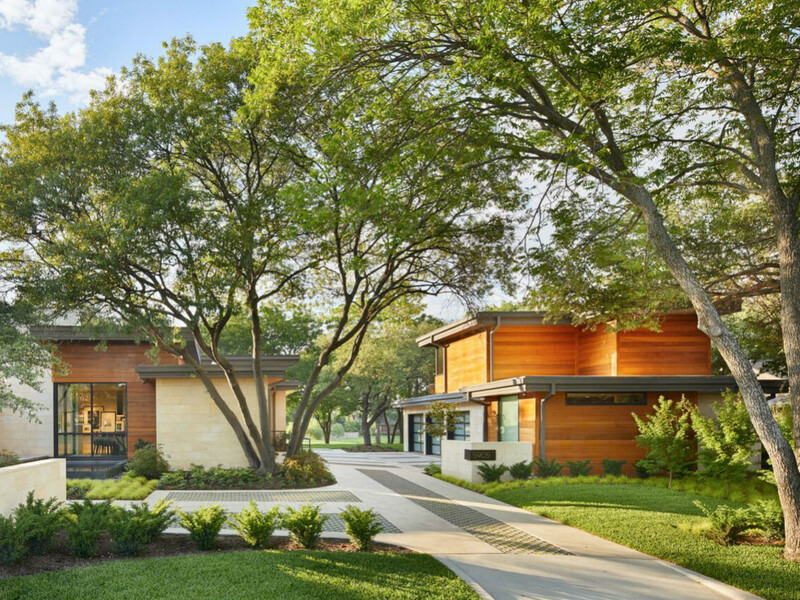 The AIA Dallas Tour of Homes, Dallas' only citywide home tour and the area's only tour curated exclusively by architects, returns October 20-21 to highlight the work of some of the city's most talented architects and the area's most innovative and outstanding residential design. 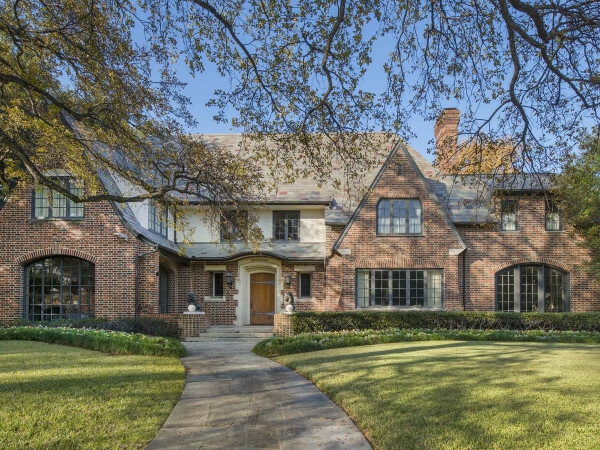 The 2018 tour spotlights seven residences in Oak Cliff, Park Cities, Preston Hollow, Lake Highlands, and East Dallas, highlighting a range of designs, sizes, and styles, including newly built homes, renovated houses, and economically priced residences. 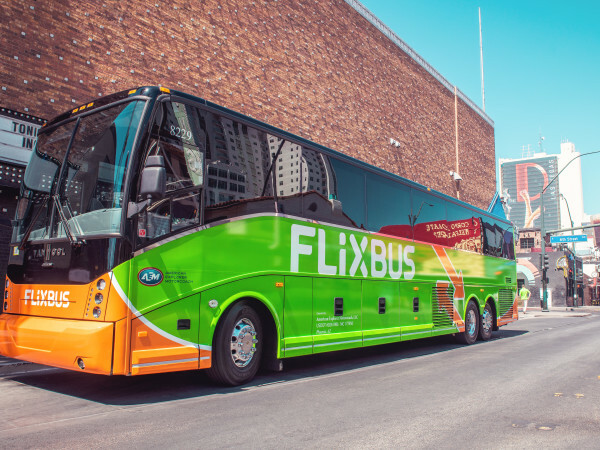 The two-day tour is from 10 am-5 pm and is open to the public. 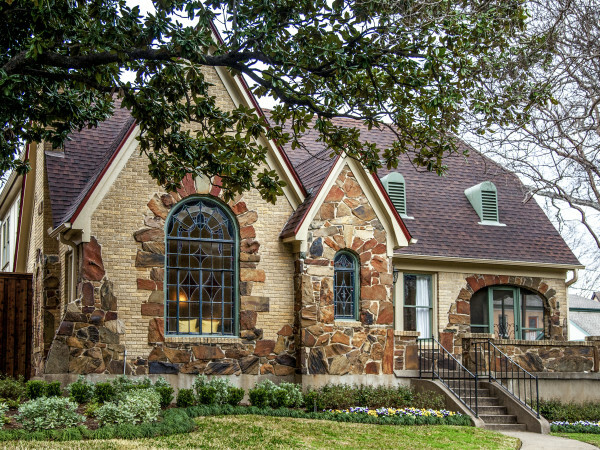 Tickets can be purchased online at hometourdallas.com or during the tour at any of the homes. Tour-only tickets are $25 in advance, $30 the weekend of, and $10 to visit an individual home. There's also a Premiere Party on October 18, set in a home exclusively available to party attendees and not on the tour. Tickets are $100 and include a ticket to the home tour. Addresses of the homes will be revealed on October 15 at hometourdallas.com. AIA Dallas Tour of Homes also has a downloadable app on iTunes. Scroll through this gallery showing vignettes from the homes included on the 2018 tour. Wateka. 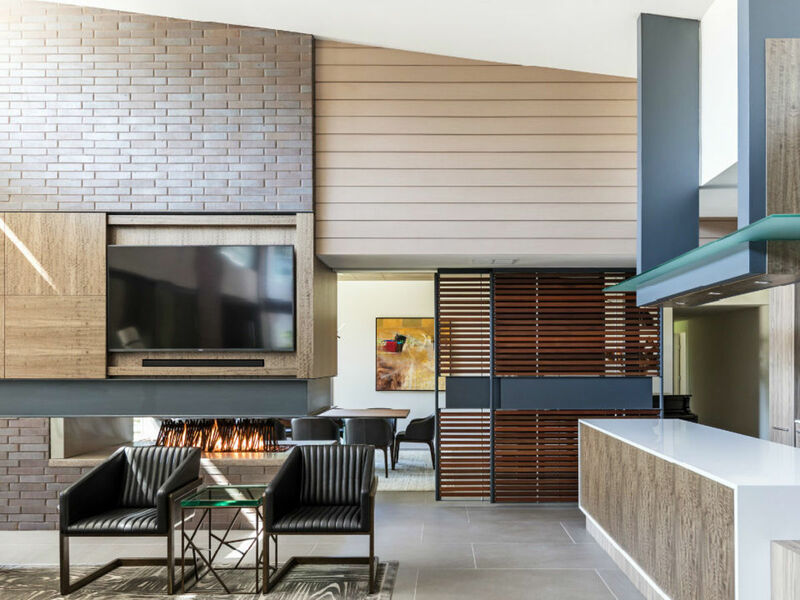 Completed in 2017, the Wateka Residence was designed to be a comfortable dwelling that is both warm and inviting while still maintaining a sense of formality and elegance. The 3,700-square-foot home is situated on a large lot with several mature trees that helped inform the placement on the site. 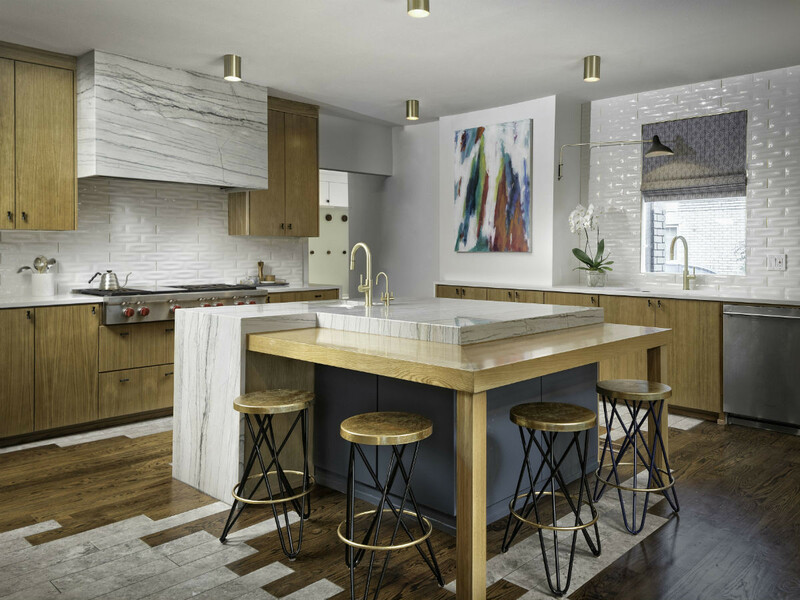 The procession through the space was thoughtfully conceived, as one enters a screened foyer before moving into an open kitchen and living space. The main living space is the focal point of the project with an abundance of natural light and views to the backyard as well as an expressive cantilevered fireplace that connects the interior to the outdoor patio. Casa Loma. This quirky 1938 split-level home in Lakewood Hills was completely re-imagined in 2017. That included an expansion of the original two-bedroom home from 1,690 square feet to 3,300 square feet with three bedrooms and two living areas. In a neighborhood trending with tear-downs, the renovation of this home was a labor of love by its owners who wanted to maintain the original charm and scale of the home, but give it a Scandinavian-inspired modern design with an open floor plan. Features include a modern floating staircase, floor-to-ceiling windows and doors, and a black painted exterior that is a stark contrast to a block lined with white homes. Kessler. Located on a heavily wooded property minutes from downtown Dallas, the Kessler home was a complete re-design of a dilapidated 1950s split-level. 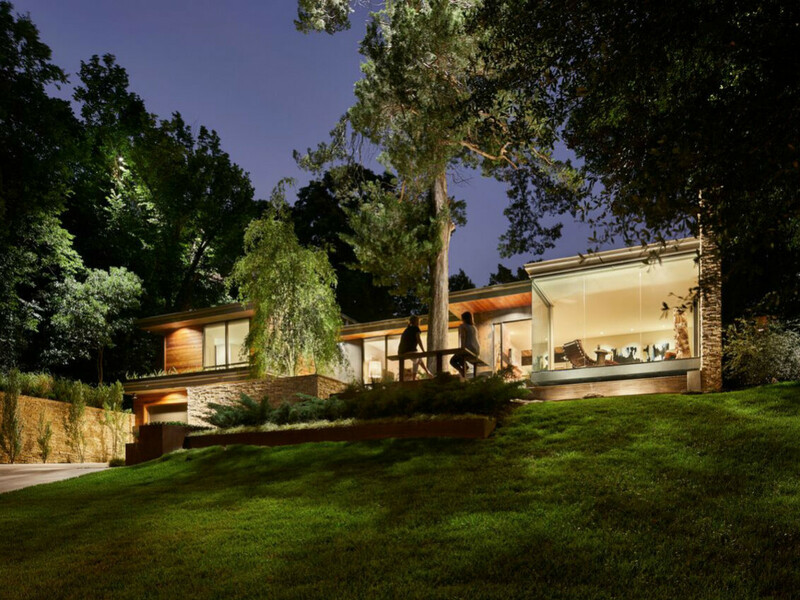 The complete transformation of this nearly 3,500 square-foot residence echoes its mid-century roots by maintaining the low, sweeping proportions and open expanses that engage the landscape and allow the natural spaces to define the architecture. Visitors are guided through framed views offering different perspectives of the home’s wooded surroundings, including a glass-encased perch hovering above a sparkling reflecting pool. Trammel Drive. The strategy on this Northeast Dallas home was to develop a series of outdoor spaces (entry court, main courtyard, and backyard). The house lays out as a bar running the length of the site, with two wings extending to the east. The wing closest to the street contains the butler’s pantry, kitchen, and living area. The kitchen and living areas are partitioned by a free-standing steel and wood entertainment center. The living room has a large, north-facing wall of polycarbonate, which provides diffused lighting throughout the day. The master bedroom’s central organizing element is a walnut clad box that contains a small home office, closet, linen storage, WC, and shower. The upper portion of the box is wrapped in polycarbonate to filter natural light from a series of skylights. Club Oaks. This 6,300-square-foot residence sits overlooking mature trees and a 270-degree view of a golf course. The design challenge was to more fully explore the site by juxtaposing the geometry of the private and public areas of the home through a 45-degree pivot point, expressed by a horizontal design and butterfly roof structure. Floor-to-ceiling windows promote views through numerous glass corner conditions and allow light to filter throughout. The design approach is centered around anchor points that include roof lines, a floating water entry, and even the outdoor fireplace. 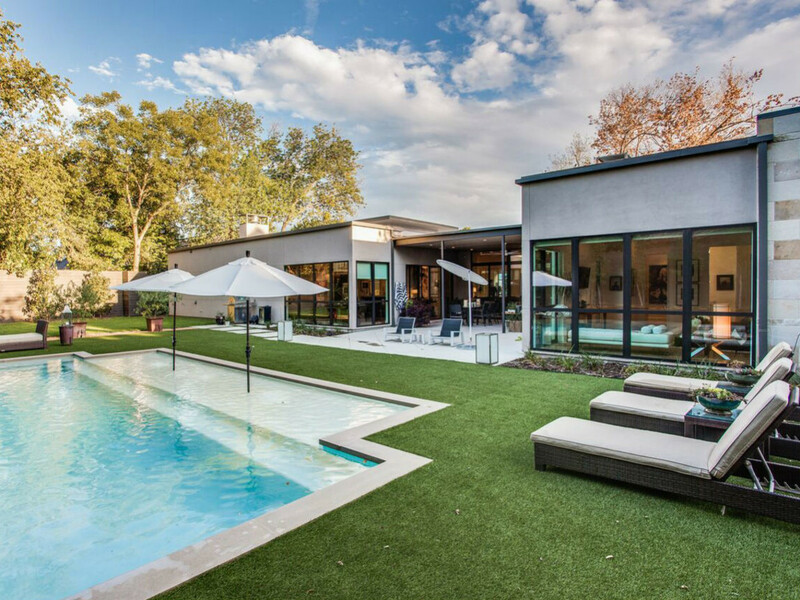 This home is exclusive to the Premiere Party, which will kick off the 2018 AIA Dallas Tour of Homes on October 18. Premiere Party tickets are available at hometourdallas.com and include a ticket to the weekend tour. Delrose Drive. Architect David Ludwick designed this modern Lakewood home in 1979. The home, his longtime residence, is at the top of a bluff overlooking a creek and treetops. 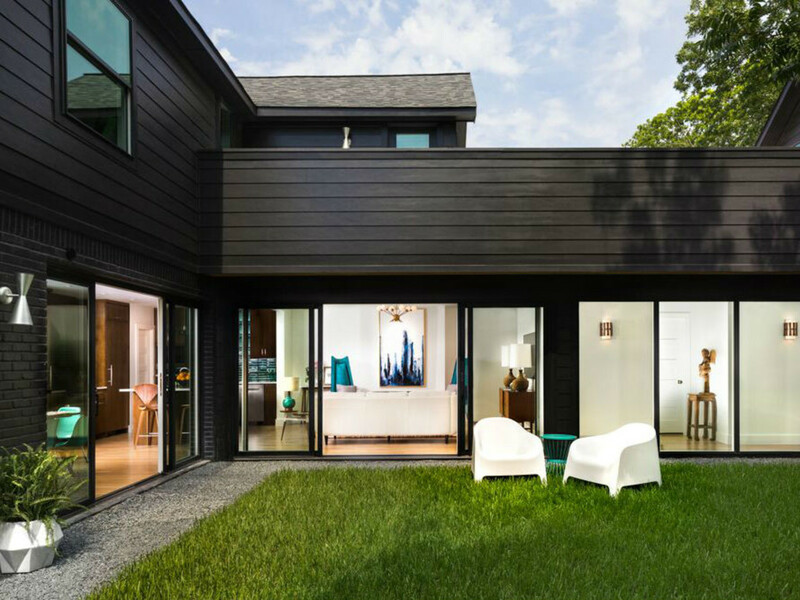 Maestri Studio reimagined the home in 2017 with an interior/exterior makeover and kitchen remodel. 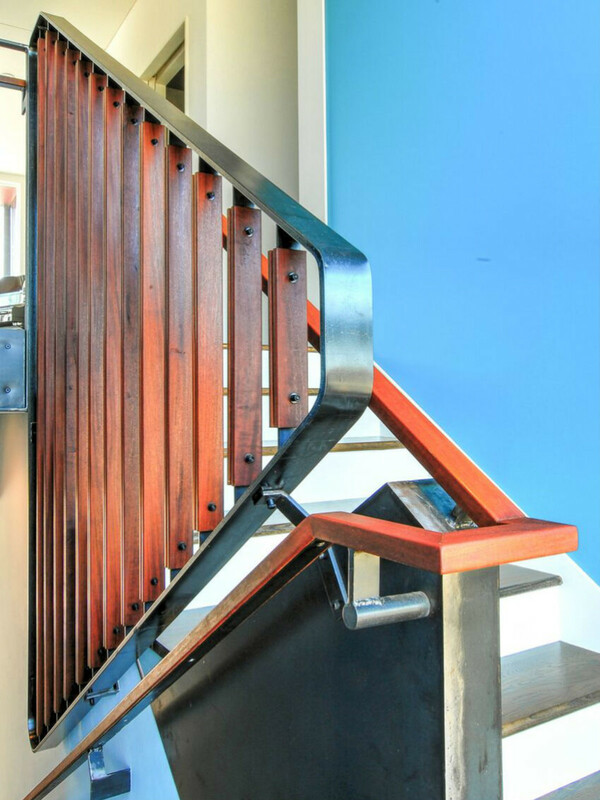 Based on Ludwick’s architectural drawings, the second-floor build-out brought to life his dream for expanding the home. 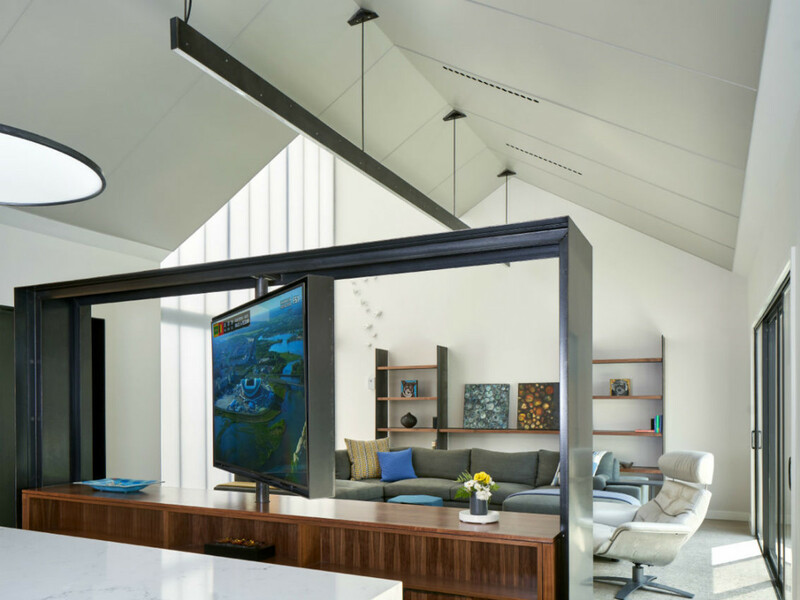 Recognizing Ludwick’s talent and the importance of preservation, Maestri Studio kept many of the original details, avoiding a common renovation mistake of removing the timestamp of the home’s origin. Maestri Studio built upon the 1970s aesthetic by incorporating mid-century design elements and a fresh take on key features such as the kitchen, connection to outdoor living, and exterior updates. A favorite detail: the custom front door with a brass starburst, which creates a more glamorous entry into the light-filled living space. Vanguard Way. This home located in the Urban Reserve is on a site that measures roughly 5400 square feet. Every opportunity was taken to maximize square footage. The house is 2700 square feet of conditioned space with a 450-square-foot carport with storage. The stairs and the backyard (deck) are cantilevered off the back of the house. The main volume of the house, was designed to focus on making a spatial opportunity of connecting to the site. Most of the walls, and even the floor in this volume are glazed to engage the occupant to the slope of the site, the large oak tree situated at the back of the site, and the sky. Casa Rosa. This new contemporary house sits on a curb-less urban street with a country feel, with large lots and well-established trees and shrubs. The house was set back from the street to provide space for two large existing trees and to allow the landscape to have a greater impact. The structure is broken into low simple cut stone and stucco blocks that step back on both sides to a glass wall entry. A light steel arbor overhead and a freestanding wall visible inside provide privacy and as well as a surface for mounting art. The stone wall on the block to the west of the entry continues through the interior living area and beyond a rear glass wall to a covered porch, providing a connection between the interior and the landscape on both sides of the house. Inside there are several living spaces open to each other including a small sitting area with a large extended window to the front yard and a glassed-in temperature-controlled wine storage area. The kitchen area has clerestory lighting above the roofline and an enclosed walk-through serving area on one side. Across the back of the house expanses of glass in the living areas and the master bedroom look out onto a simple expanse of green surrounding a lap pool with a wide shallow ledge on the house side and landscaped terraces on the opposite side.